The Challenge Dune all-round gravel tubular tyre is versatile and capable racing tyre that features a tread pattern specifically designed to cope fast, dry racing and general riding conditions. Whether you’re using them for an ultra-endurance gravel race, your local cyclocross league in dry conditions or for training on when you’re mixing up on-road and off-road sections these fast rolling tubular tyres will enahcne your bike handling in demanding conditions. 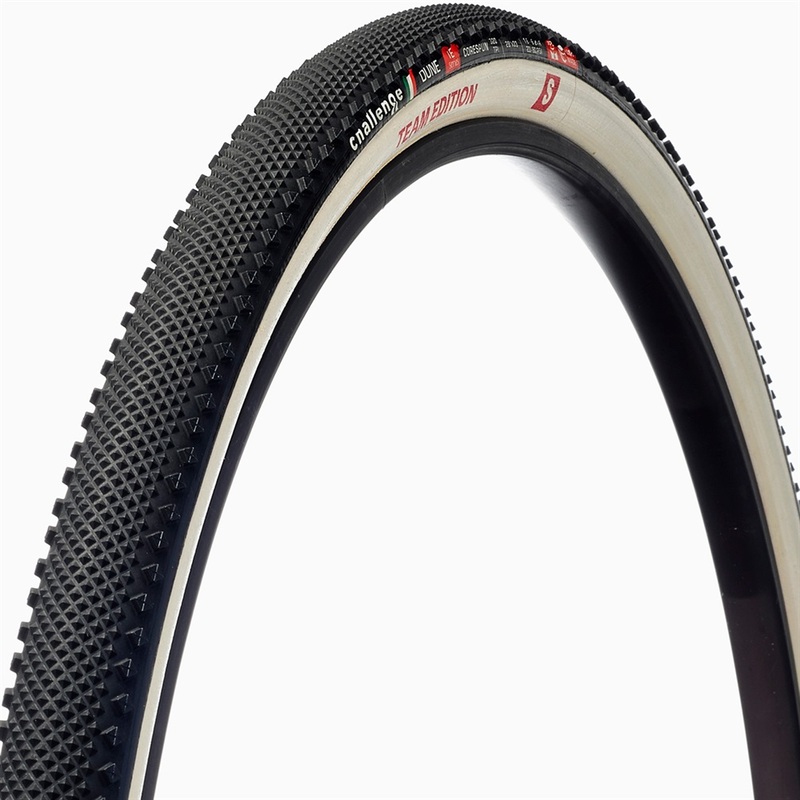 The Dune all-round gravel tubular tyre is 33mm wide, has a white side wall, a super-poly casing and includes PPS flat protection.